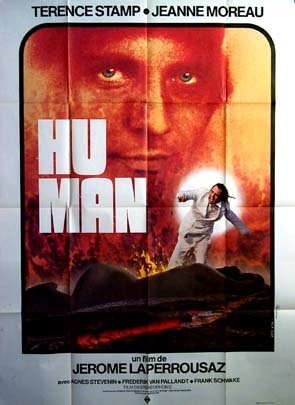 Hu-Man is a 1975 sci-fi film about an actor whose fate in dangerous situations is determined by the audience. The film has been described as a cross between The Running Man and Slaughterhouse Five, with an original score reportedly by psych-rock band Gong. 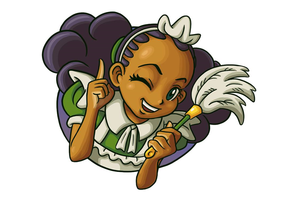 The reason for its lack of availability before its discovery in 2015 is unknown. Clips from the film were shown in a 1998 episode of the UK series Scene by Scene that profiled Stamp. The film was ultimately rediscovered by Cinemageddon user Goupil66 with a French dub. English subtitles have since been written for the film, and both files are available for download below. Episode of Scene by Scene featuring a clip from Hu-Man (~1:20). Download link for the film. Download link for English subtitles.